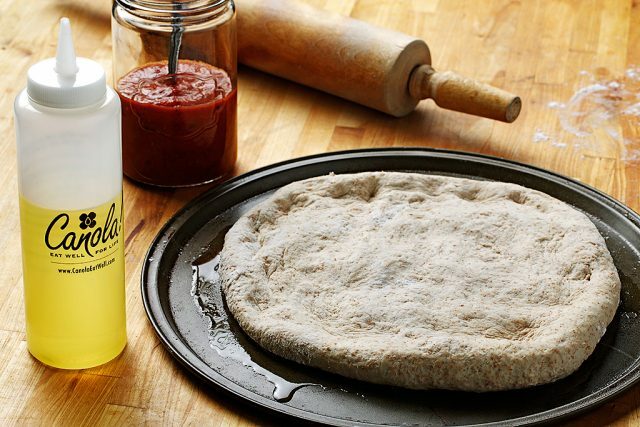 This dish is the perfect fusion between a pizza and quesadilla. 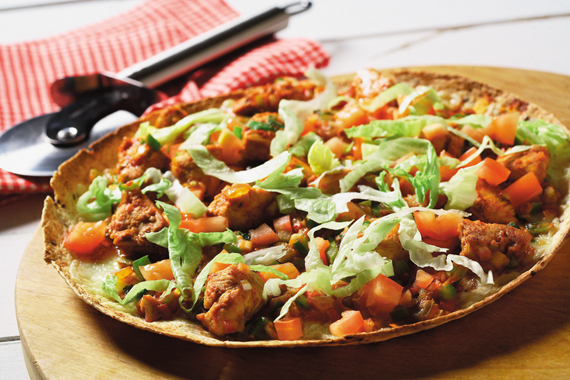 Whole-wheat tortillas form the base and it is topped with deliciously flavoured chicken, tomatoes, green pepper and onion and low-fat Monterey Jack cheese and grilled. Try this recipe next time you're craving that South of the border taste or on one of those busy weeknights nights that call for a fiesta. Recipe courtesy of www.canolainfo.org. Combine lime juice, canola oil, garlic, chili powder and salt and pepper in large bowl. Whisk ingredients together. Cut chicken breasts into 1/2 inch (2 cm) pieces. Toss with oil mixture. Marinate mixture, refrigerated, for 2 to 4 hours. Stir-fry chicken mixture in large wok over medium-high heat until chicken pieces are cooked and juices run clear. Set aside. Preheat oven to 400 °F (200 °C). Arrange tortillas on rimmed, foil-lined baking sheets. Divide cheese and sprinkle over tortillas. Bake until golden brown, about 6 minutes. 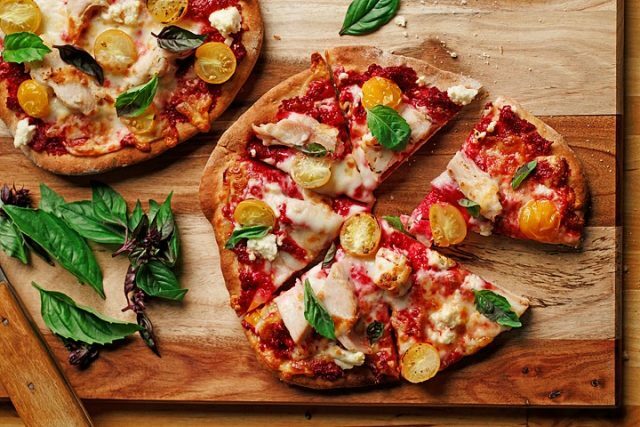 To grill: Place pizzas on lightly oiled grill and cook for about 4 minutes. Meanwhile, combine chicken, salsa, green pepper, red onion and parsley. Mix well. Spoon mixture onto warm tortillas. Spread mixture as evenly as possible. Bake again until heated through, about 5 minutes. Top with lettuce, tomatoes and 1 Tbsp (15 mL) of sour cream. Serve immediately.